At Conrin, we help you understand the metrics. We do not implement your CRM and walk away leaving you to handle everything on your own. We will be by your side helping you understand all of the metrics and how the CRM can work best for you and your organization. We will cut through the digital clutter of too much data for you and uncover what is important. Data does not mean anything if it’s not utilized. Often when people come to us frustrated with their CRM, it is because they were not shown how it can be used to its fullest. We sort through the data and help you see the clear picture of customer relationship management. After CRM is implemented for your organization, we will give you instant access to organized key data that will help you run your business. Adoption is an important step in the process to us, and we will ensure you improve data sharing across all accounts, contacts and opportunities. 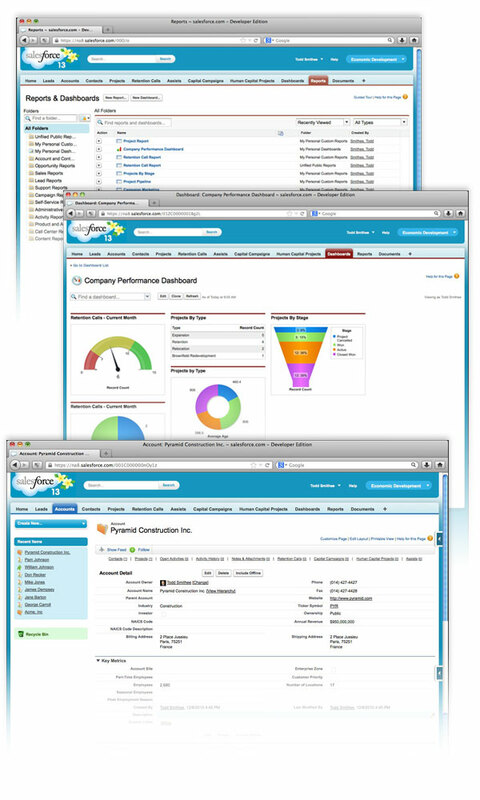 Customized dashboards and reports are offered to represent the data that you need to run your business. You have enough on your plate to manage without worrying about CRM. At Conrin, we’ll make it easy and effective for you.